If you have been keeping a keen eye on our social media channels, you will know that Generations For Peace (GFP) recently celebrated its 10th anniversary. A special booklet is now available online and highlights our journey, from passion to impact – do check it out. It was a unique occasion to reflect on all the organisation has achieved to date and that which is yet to come! In the spirit of reminiscing, we started thinking about 2016 – what a busy year it was! From growing partnerships to programme expansions and lots of training, it has been an incredible journey. 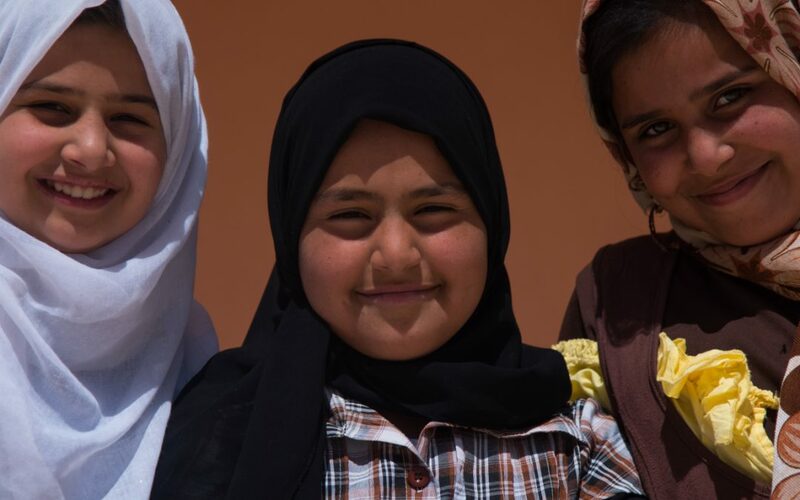 Today we would like to share a few videos from work conducted in Jordan with our partner, UNICEF. (Video 1) Over 650,000 Syrian refugees currently reside in Jordan, and as host communities struggle to cope, tensions rise. In 2014, GFP and UNICEF launched the Social Cohesion in Host Communities Programme to strengthen social cohesion and resilience and reduce the risk of violence. Today we are happy to share a short story from two of the participants – say hello to Ayman (Jordanian) and Yousef (Syrian). They developed a friendship through the programme and are here to tell you about the day they first met, as well as how they support one another in their daily lives. (Video 2) The next video is a short introduction to Rita and Hazem – two of our dedicated volunteers from Jordan. They share the challenges faced in their community as well as their hopes for the future. Did you know that they are among the 77 volunteers who support 2,600 children and youth aged 12- 22 years through Sport and Arts For Peace activities (**Social Cohesion in Host Communities Programme)? That said, we urge you to keep an eye on our social media channels as this number is growing steadily. (Video 3) Last but certainly not least, we would like to introduce you to Lama Hattab (Programmes Director – Generations For Peace) and Besan AbdelQader (Youth Development Officer – UNICEF). If you have ever wondered what it takes for two organisations to partner together, well look no further. In Besan’s words: “By bringing together expertise from both organisations, we’re able to work towards a shared vision”. We couldn’t agree more! In fact, as a result of the programme’s great impact, we are now expanding to more communities to reach five times as many youth. To continue on this path, we rely on the support of our committed and talented volunteers as well as our valued donors and partners across the Middle East, Africa, Asia and Europe. Thank you for believing in us every step of the way. Without you, none of this would be possible. Sign up for our e-newsletter to learn more about the impact of our programmes.